This case began as an age discrimination claim. The Equal Employment Opportunity Commission (“EEOC”) initially challenged that Baltimore County’s (“County”) retirement plan violated the Age Discrimination in Employment Act (“ADEA”) because its age-based contributions required older employees to pay higher percentages of their salaries. When adopting its retirement benefit plan in 1945, the County stated that employees were eligible to retire and receive pension benefits at the age of 65, no matter how long the individual had actually been employed and contributing the plan. Because the payments of an employee who joined the plan at an older age would accrue less interest than payments made by younger employees before the employees actually started to draw from the fund, the County determined that older employees should be charged higher rates. Although the retirement benefit plan was amended several times over the years, the different contribution percentages based on age were never fully eliminated. In response to this policy, the EEOC first brought civil suit in the District Court of Maryland in 2007, requesting injunctive relief to bar the discriminatory contribution percentages and reimburse employees subject to the age discrimination through back pay. This opinion was the third issued in a series of appeals for this case. 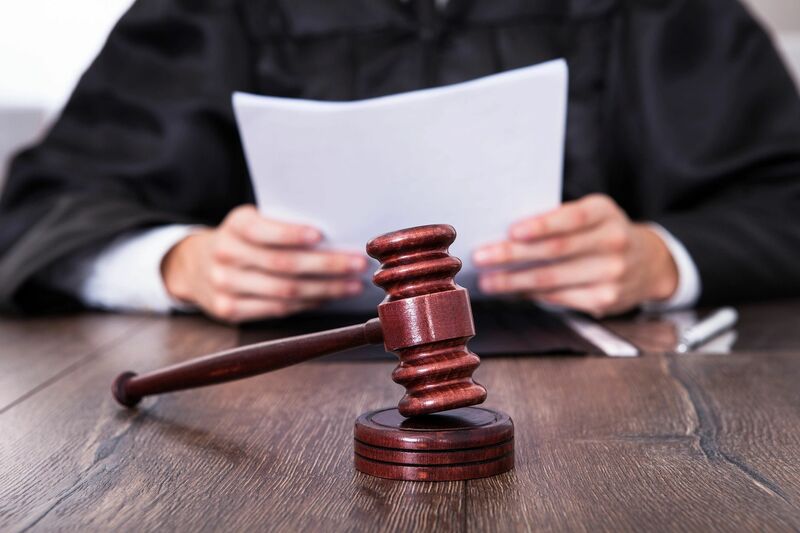 In 2010, the court of appeals initially reversed and remanded the district court’s holding in favor of Baltimore County, prompting the district court to reconsider whether the retirement benefit rates violated the ADEA. The issue once again reached the court of appeals for opinion in 2014. The second time, the district court had determined that the rates were impermissible and granted partial summary judgment on liability in favor of the EEOC, but the court of appeals then remanded again for consideration of damages. Although the parties had entered into a consent order for injunctive relief, the order did not discuss monetary relief and stated that the issue would be considered on a later date. The case then reached the court of appeals for a third time in 2018 after the EEOC appealed the district court’s determination on damages that it had discretion to deny an award of back pay otherwise afforded under the ADEA. In reaching its decision, the district court held that it had discretion over whether or not to award that remedy or, in the alternative, that even if back pay were mandatory under enforcement of the ADEA, the court’s equitable powers still granted it the authority to deny back pay because the EEOC delayed so long in originally bringing this case. The underlying issue for the court of appeals to consider on this third appeal was under the ADEA, is the monetary award of retroactive back pay discretionary, after liability has been established. While Baltimore County grounded its argument in statutory language of the ADEA, the EEOC highlighted specific Fair Labor Standards Act (“FLSA”) provisions that have been incorporated into the ADEA. Most notably, the ADEA adopted the FLSA provision that violators “shall be liable” for back pay. The EEOC argued that because back pay is a mandatory legal remedy under the FLSA, and because the ADEA adopted this language, it is not a discretionary issue. The choice of language reflected Congress’ intent that remedies under both of these statutes should be construed in the same manner. Thus, the District Court lacked discretion to determine whether back pay was owed. Baltimore County argued that back pay was properly denied because the district court is granted wide authority under the ADEA. Specifically, the County claimed that the court has broad authority under 29 U.S.C. § 626(b) “to grant such legal or equitable relief as may be appropriate,” which could include the denial of back pay. Under broad authority, the court should be allowed to determine appropriate remedies, similar to the discretionary nature of back pay under Title VII. The County tried to expand precedent, by relying on various United States Supreme Court cases regarding Title VII pension issues. In those cases, the Court held that retroactive monetary awards are discretionary under Title VII and did not award any retroactive monetary relief. As the district court itself determined following the second remand of this case, it would be equitable to deny back pay in this instance, even if it were mandatory under the ADEA, because the EEOC had delayed initiating this suit for years. The County emphasized the long delay in the EEOC’s action, which led to the County incurring substantially more liability in back pay. The Court of Appeals for the Fourth Circuit agreed with the EEOC’s interpretation of the ADEA’s language and concluded that retroactive monetary award of back pay is mandatory, not discretionary, upon the finding of liability. The initial matter of liability was already decided through issuance of partial summary judgment in favor of the EEOC following the first remand of the case. To assess the statutory language of the ADEA, the court considered the plain language of the statute, congressional intent, United States Supreme Court precedent, and legislative history. The court addressed the plain language of enforcement under 29 U.S.C. § 626(b). As a threshold matter, the court stated that the ADEA was a remedial statute and therefore warrants liberal interpretation. Furthermore, because specific FLSA language regarding back pay was incorporated into the ADEA enforcement provision, interpretation of the provision should mirror prior interpretations of the relevant back pay provisions in the FLSA. As such, under the FLSA, retroactive monetary damages are considered mandatory. Thus, by extension, there was an apparent congressional intent that such damages should also be mandatory under the ADEA. In regard to relevant precedent, the court’s touchstone of inquiry was a United States Supreme Court case, Lorillard v. Pons, where the Court applied a similar analytical framework while interpreting another portion of the ADEA. There, the Court stated that since the ADEA adopted specific FLSA language, it should be interpreted as its original counterpart was interpreted. The Fourth Circuit also rejected the County’s reliance on the Title VII pension cases because there, back pay was an equitable remedy, whereas here under the ADEA, back pay would be a legal remedy. Next, the court considered legislative history. While drafting the enforcement clause of the ADEA, Congress was faced with various potential enforcement mechanisms. Ultimately, Congress specifically chose to incorporate FLSA remedial measures into the ADEA. This conscious decision of incorporation, and rejection of other options, is relevant legislative history that assists with judicial interpretation of statutory language. Finally, the court next addressed the district court’s alternative holding that, even if the statutory language indicated back pay was mandatory, the court still had discretion through its equitable powers. The court of appeals fully rejected the district court’s comparison of the ADEA to Title VII, under which the Supreme Court had held that retroactive monetary awards were, in fact, discretionary. The court of appeals explained that an award of back pay under Title VII was up to a court’s discretion because it was an equitable remedy; under the ADEA, however, back pay was a legal remedy, and only the amount of back pay was open-ended, to be determined at the discretion of the factfinder. The district court’s opinion was vacated and remanded for the consideration of the amount of back pay owed to the affected employees under the ADEA. EEOC. v. Baltimore Cty., 747 F.3d 267, 1–2 (4th Cir. 2014). EEOC. v. Baltimore Cty., No. 16-2216, 2018 U.S. App. LEXIS 26644, at *2 (4th Cir. Sept. 19, 2018). Baltimore Cty., 2018 U.S. App. LEXIS 26644, at *8.